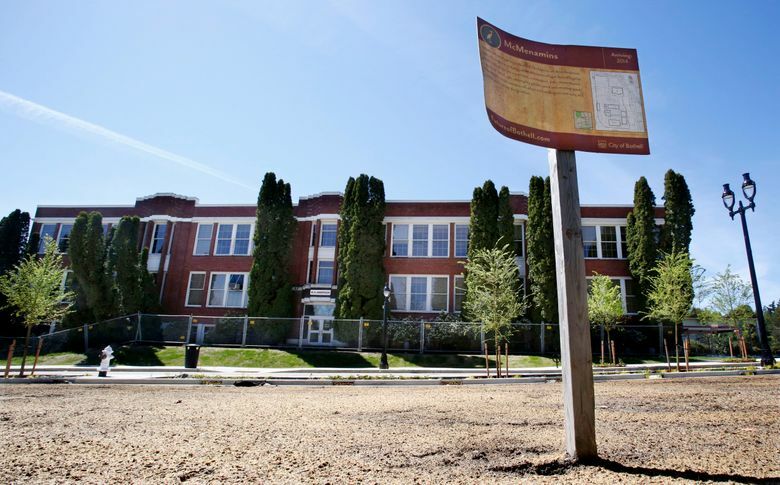 The newest McMenamins opens to the public at 11 a.m. Thursday at the former Anderson School. The McMenamin brothers continue their march across the region with the grand opening of their latest — and largest — restaurant/bar/hotel property: McMenamins Anderson School in Bothell. Anderson School was built in 1931 on Bothell Way Northeast. Among its past lives, it was a junior-high school, an alternative school and administrative offices. The city of Bothell bought it in 2009 and sold it to Mike and Brian McMenamin the next year. Anderson School is a key part of Bothell’s downtown-redevelopment plan and city officials are likely hoping for the rejuvenation and customer traffic that other McMenamins properties have bestowed. Property opens at 11 a.m. Thursday, Oct. 15, 18607 Bothell Way N.E., Bothell (425-398-0122 or www.mcmenamins.com). Some of their most well-known projects include Edgefield, the former Multnomah County (Ore.) Poor Farm built in 1911, that is now a 74-acre complex of restaurants, a hotel, a soaking pool, bars, a spa and movie theater; Hotel Oregon, transformed from a derelict downtown McMinnville property into a lovingly restored inn with both a rooftop and a cellar bar; and Kennedy School, an old Portland grade school that now boasts a bar in the teachers lounge, a movie screen in the gym and very low drinking fountains — they’re the originals. The only other Washington hotel is in Centralia; there are pubs in Seattle, Vancouver and Mill Creek. Anderson School is the only McMenamins property to boast its own full-size pool, Northshore Lagoon. Much of the property is adorned with the signature artworks the brothers commission for each of their projects. Historians and artists work together to plan murals and embellishments that honor local history and residents. It’s not unusual to see little faces on elbow pipes or a portrait and story about an area dignitary above the bed in your room. The complex opens to the public on Thursday, Oct. 15, and the all-ages festivities include roving musicians all day; reggae and R&B from World’s Finest at 7 p.m.; and, from 4-8 p.m., “Meet the McMenamins Historians” sessions where visitors can see some of the Bothell artifacts McMenamins received from community members and alumni, ask questions about the project and share Bothell stories and more.